France, Paris December 2015 COP 21 UN Climate Conference. D12 Day of action drawing red lines across Paris. 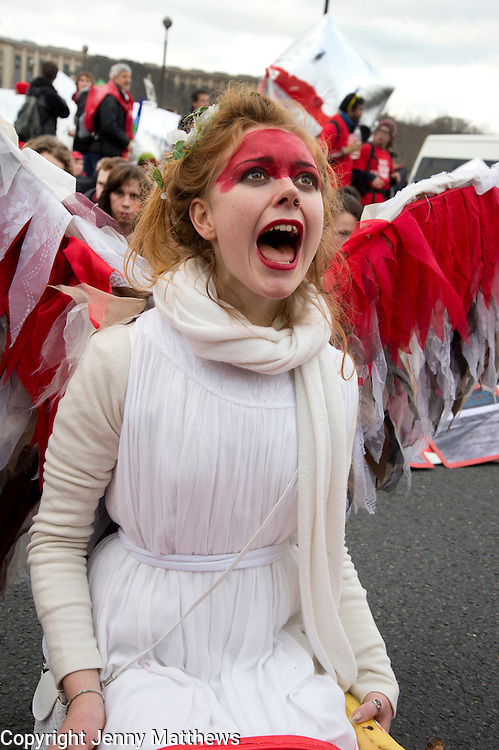 Climate guardian angels from Australia lead a walk from Arc de Triomphe to Eiffel Tower.